The consensus among urban experts is that a ‘good’ city for the 21st century is one that is people-centred and capable of integrating the tangible and intangible aspects of prosperity, and shedding the inefficient, unsustainable forms and functionalities of the city of the previous century. We have long been lamenting the growing disparity, inequity, poverty, deprivation and lack of choice and voice in cities across the developing world, which are largely a legacy of the post-colonial cities of former colonies, which simply did not have the capacity or resources to move away from the inherited British, Spanish, French or Portuguese forms of urban local governance. 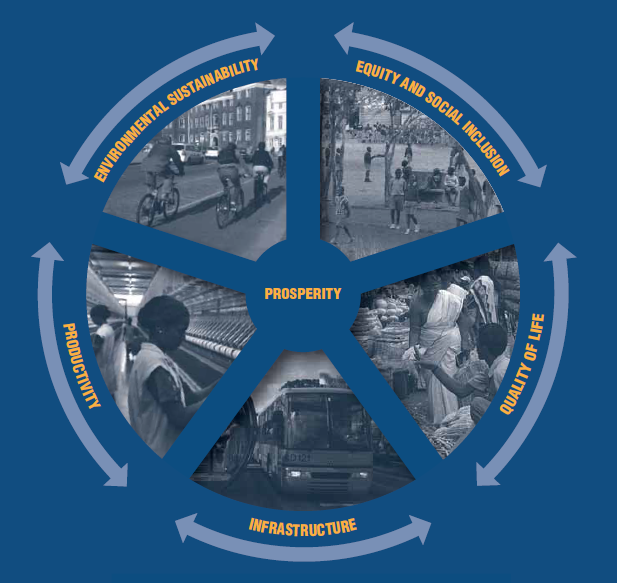 As these problems seem to be overwhelming us, the UN-Habitat in its flagship publication, the State of the World’s Cities, took a refreshing new look at urban management in its 2012-13 Report, and came up with the idea of replacing the urban poverty paradigm with that of city prosperity. Fifth, the creation and (re)distribution of the benefits of prosperity do not destroy or degrade the environment; instead, the city’s natural assets are preserved for the sake of sustainable urbanization. The Report then goes on to calculate the City Prosperity Index (CPI) of a number of large cities across the world, and its findings make for interesting reading. Neat divide between rich and poor. And remember, both New Delhi and Mumbai are the best-resourced cities in India – the first because the Central Government lavishes a lot upon its showcase capital; the second because it has the perhaps the highest ‘City to National GDP’ ratio of 4.0 (this is just 1.2 for Tokyo, 1.3 for Sydney, 1.6 for NYC). 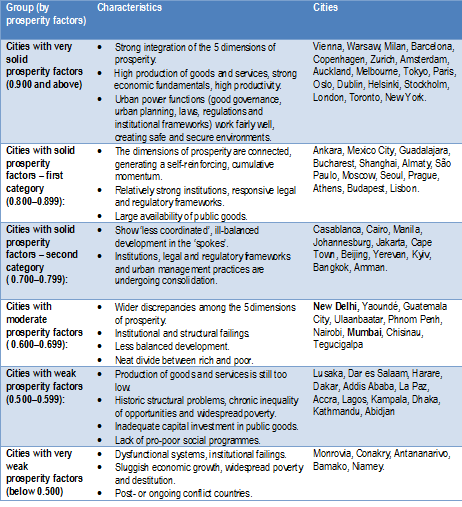 The smaller Indian cities are much worse off in terms of the City Prosperity Index. In my next post, I hope to examine ways in which changes in policies and practices may actually make Indian cities more prosperous. Changes in policies & practices for prospering indian cities is a need of the hour. But very little is expected from current Indian setup. Any way it was an informative article. Thanks Nasrin madam.